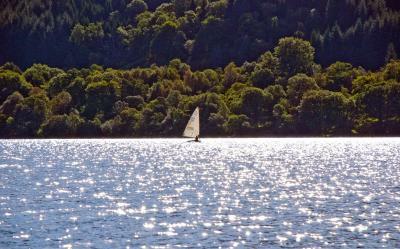 Lock in a great price for Achray House Hotel - rated 9.1 by recent guests. Very friendly staff; Brad, the host, is a real gentleman and genuinely warm and friendly. Superb food. The young chef is onto something! Wine pairing suggestions. Whisky collection. Log fire and leather sofas. The 7 course Christmas meal was fantastic, and nicely done in a cute and jovial way. Great people, great location, great hospitality, great selection of whisky and a damned fine meal in the evening, well cooked, well presented and very very tasty - I had the venison . Breakfast was simply OK. The location was beautiful and the bed was so comfortable. Location stunning, staff friendly, breakfast tasty. Very welcoming staff and comfortable lounge area. Lovely peaceful setting. 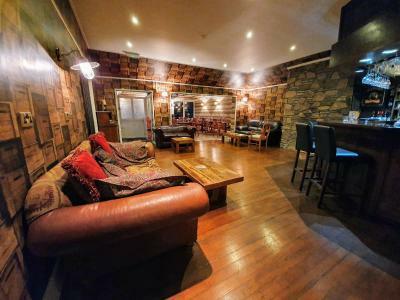 The staff were excellent and very knowledgeable about the menu and wine list. 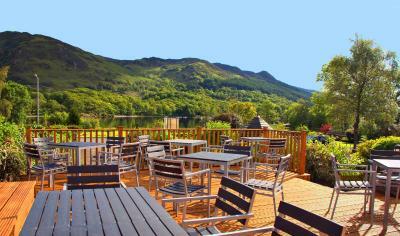 Restaurant excellent and location perfect for a one night stay going north or south. We stayed 3 nights at Achray House. Our room (6) looked out onto Loch Earn and the mountains beyond. It had a small garden. The room was nicely furnished and comfortable. The bathroom was modern and a reasonable size. The shower was over the bath. The hotel’s public rooms were comfortable and inviting. There is a well stocked bar. The bar prices were reasonable. We ate in the hotel restaurant each night. The food quality and service was very good. We also ate breakfast each morning. The cooked breakfast choice was excellent as was the quality. All the hotel staff were helpful and accommodating. Bradley, the hotel owner, gave us some excellent sightseeing tips all of which we took up. 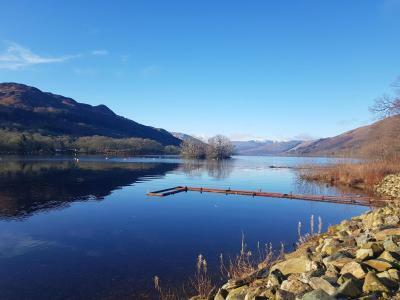 There is not much to see and do in Saint Fillans, but there are plenty of things to see and do within a reasonable driving or even cycling distance. Would definitely stay again if in that area. 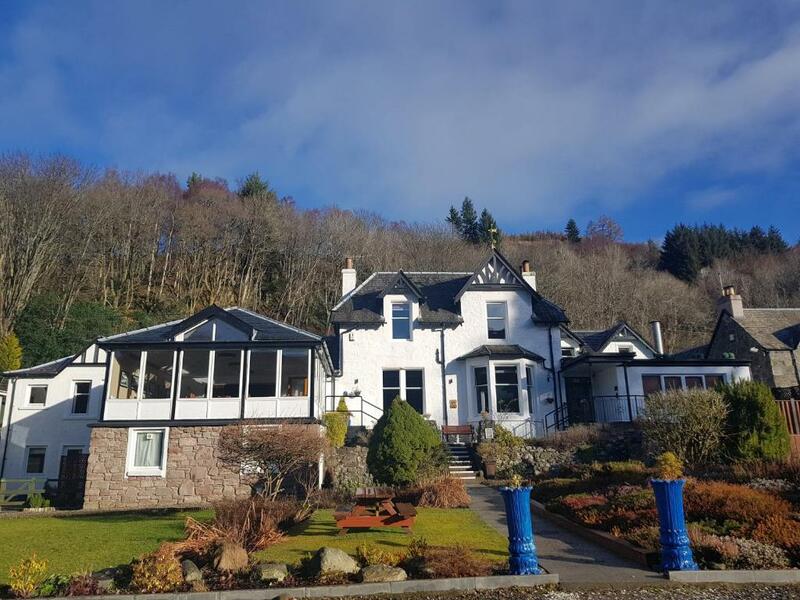 With picturesque views over Loch Earn to the hills beyond, Achray House Hotel, Restaurant and Lodges are set in the peaceful village of St Fillans and within the boundaries of the Loch Lomond and Trossachs National Park. 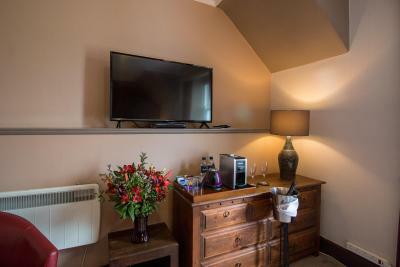 Free WiFi, an en suite bathroom and a flat-screen TV are featured in each room at Achray House, as well as tea/coffee making facilities. 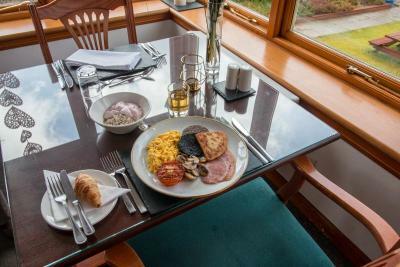 A full Scottish breakfast made with local ingredients is served each morning. For evening dining, the focus is on contemporary Scottish cuisine. 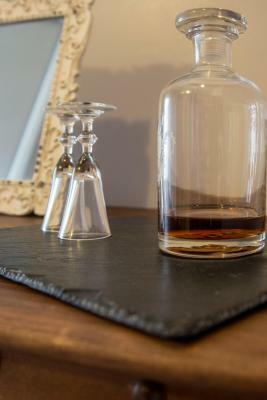 Guests may select from the extensive a la carte menu which features local game, beef, pork and lamb, as well as shellfish from the west coast of Scotland, and fish from the east coast. 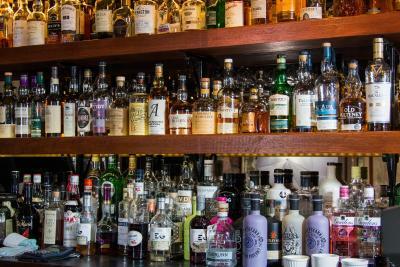 Malt whiskies and a wide selection of wines are also available to enjoy. A wide range of scenic walks can be enjoyed in the surrounding area, as well as many golf courses which are within an hour’s drive. 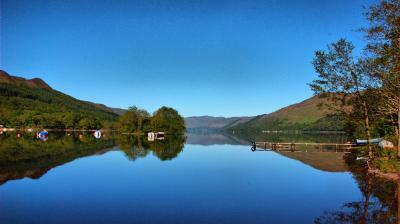 Fishing and water sports can be enjoyed on Loch Earn, and white water rafting on Loch Tay which is just under 30 minutes’ drive away. 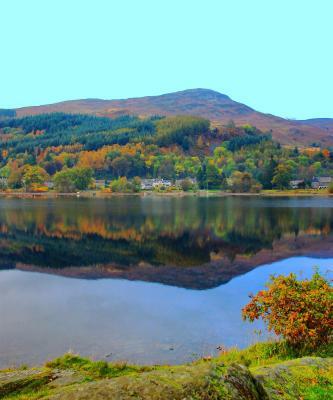 Achray House Hotel has been welcoming Booking.com guests since 8 Mar 2013. 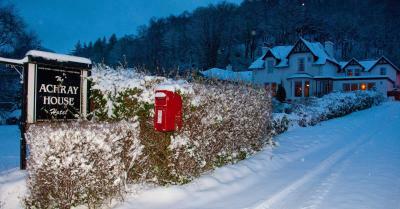 When would you like to stay at Achray House Hotel? 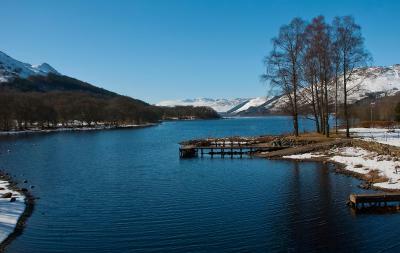 A spacious room with a scenic view of Loch Earn and the mountains beyond. 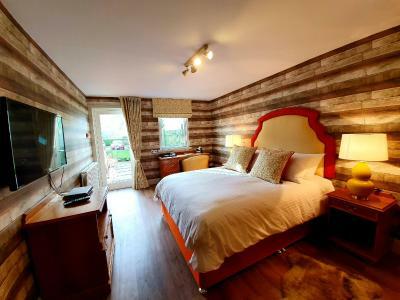 The room has a super king-size hand-made sleigh bed and a separate seating area overlooking the loch. The stylish bathroom has a freestanding bath, walk-in monsoon shower, underfloor heating and luxury bathrobes and toiletries. 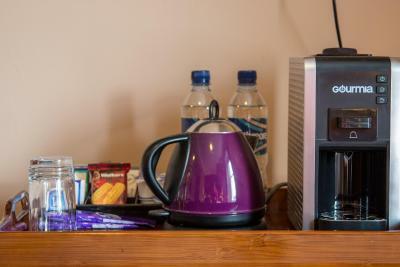 A flat-screen digital TV, radio alarm with iPod/iPhone dock and free Wi-Fi are also provided, as well as a gourmet selection of teas and coffee. Decorated in the style of Charles Rennie Mackintosh, the famous Scottish Designer, this double room on the upper floor of the Victorian wing of the hotel has a picturesque view over Loch Earn and the mountains beyond. 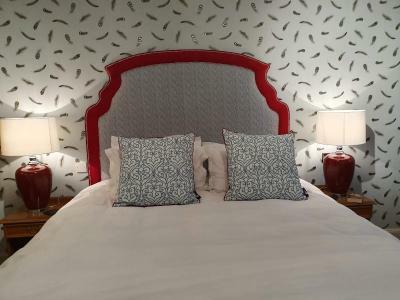 The room has a hand-made king-size bed, and an en suite bathroom with bath and shower. There is also a flat-screen digital TV, radio alarm with iPod/iPhone dock and free Wi-Fi. A gourmet selection of teas and coffee, and fluffy bathrobes provide a touch of luxury. 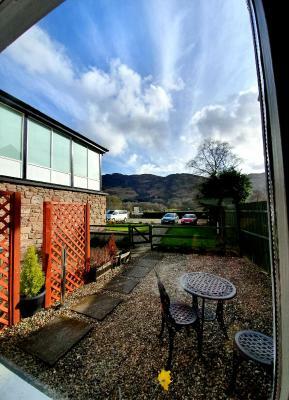 A spacious double room in the modern wing of the hotel, facing Loch Earn and the mountains beyond. The room has a king-size bed, and en suite bathroom with bath and shower. 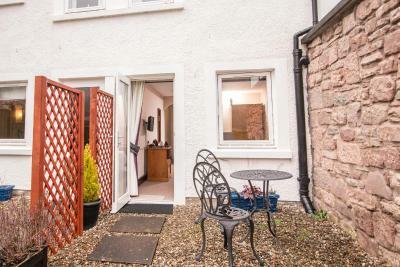 There is a flat-screen TV, telephone and free Wi-Fi, as well as tea/coffee making facilities. 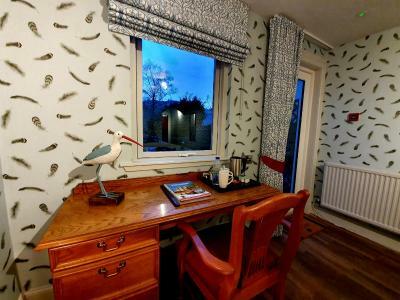 A spacious room in the modern wing of the hotel, facing Loch Earn and the mountains beyond. The room also has an en suite bathroom with bath and shower. There is a flat-screen digital TV, telephone and free Wi-Fi, as well as tea/coffee making facilities. 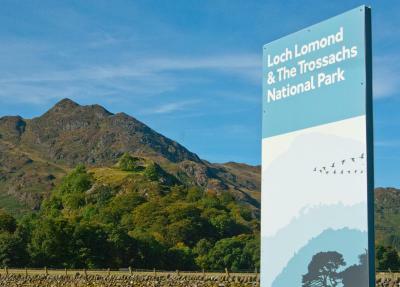 A pet-friendly spacious room in the modern wing of the hotel, facing south to the mountains beyond Loch Earn. 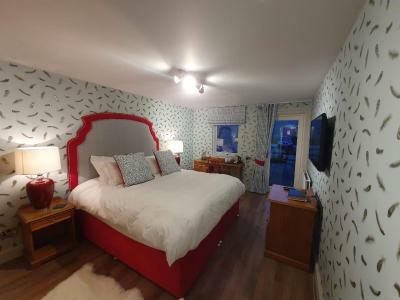 The room has a king-size bed, and en suite bathroom with bath and shower. There is a flat-screen digital TV, telephone and free Wi-Fi, as well as tea/coffee making facilities. 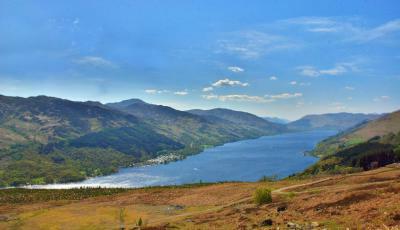 A pet-friendly spacious room in the modern wing of the hotel, facing south to the mountains beyond Loch Earn. 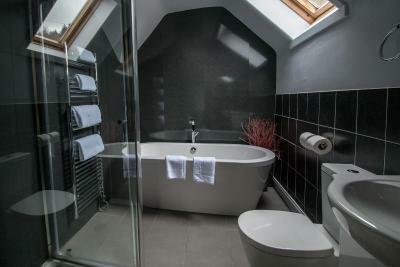 The room also has an en suite bathroom with bath and shower. There is a flat-screen digital TV, telephone and free Wi-Fi, as well as tea/coffee making facilities. A small but comfortable double room to the rear of the hotel. 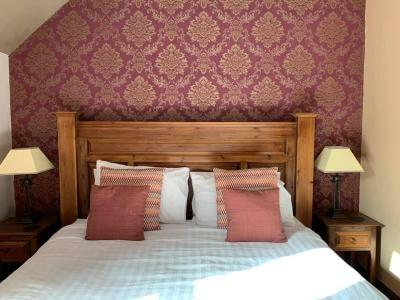 The room has an en suite bathroom with bath and shower, flat-screen TV, free Wi-Fi and tea/coffee making facilities. Please note that this room does not have a view of the loch or mountains. A stylishly decorated double room on the upper floor of the Victorian wing of the hotel with an picturesque view over Loch Earn and the mountains beyond. 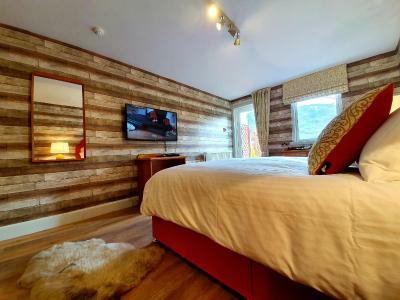 The room has a hand-made super king-size bed, and an en suite bathroom with bath and shower. There is also a flat-screen digital TV, radio alarm with iPod/iPhone dock and free Wi-Fi. A gourmet selection of teas and coffee, and fluffy bathrobes provide a touch of luxury. House rules Achray House Hotel takes special requests - add in the next step! Achray House Hotel accepts these cards and reserves the right to temporarily hold an amount prior to arrival. Please note: There is limited mobile telephone reception in the hotel and lodges, and some mobile networks are inaccessible. Guests are requested to book in advance if they wish to dine within the restaurant. This information can be added in the Special Request box when booking. Check-in after 21:00 is possible, subject to availability and prior approval with the property. If you are using sat nav, the property is on the main road through St Fillans, not on a side street which your sat nav may advise you. Friendly staff! Great food! Beautiful view! A strange smell in the upstairs corridor. Breakfast - bad, weak coffee - awful to be honest and lower quality ingredients in the breakfast itself. Great Service, nice People. Lovely house. We had booked a superior room, but it wasn't superior compared to other hotels we stayed in it was very small. Decor very tired and needed updating. Doors and windows jammed making hell of a noise.Had to change rooms first night due to bathroom not being cleaned and body hair in bed.The room we changed to was lovely but getting into bed , spotted dark stains through bed sheet, which turned out to be blood stains on mattress cover !!. The manager Brad was informed and promptly got his cleaners to come sort the bed out at 11pm at night. We were refunded for that night and the rest of our stay was fine and manager couldn't of been more apologetic . Beautiful location, we stayed for our anniversary the staff made our stay so special and the food was lovely. Great host and staff. Welcoming and comfortable. Great food. Great location.